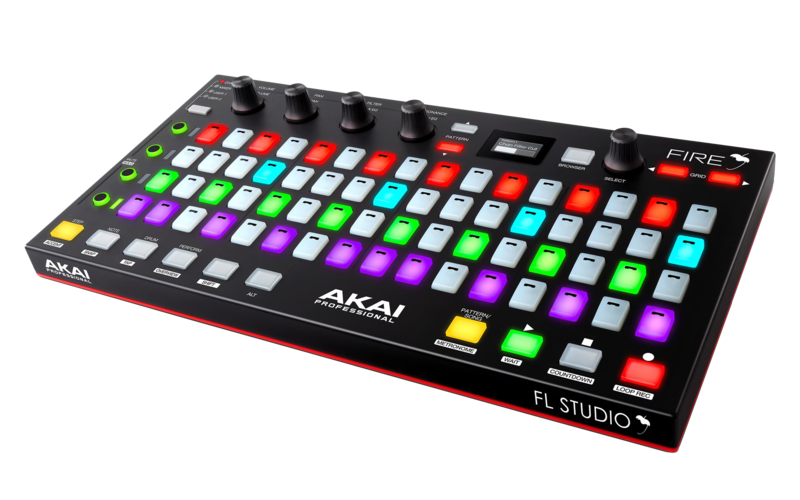 The Akai Fire is the first dedicated control surface built to interface directly with FL Studio. Featuring velocity-sensitive pads, an OLED display, and an intuitive one-to-one hardware representation of FL Studio's sequencer, it will be the perfect companion for any beginner or professional FL Studio user. This article will walk through the complete registration, download, and setup of the included software. launch your browser, and go to Akaipro.com. At the top right of the page, and underneath My Account, select Login or Create Account to log in to or create your Akai Pro account. In your Akai Pro account, you will be presented with a page that says My Products. Click Register My Product. 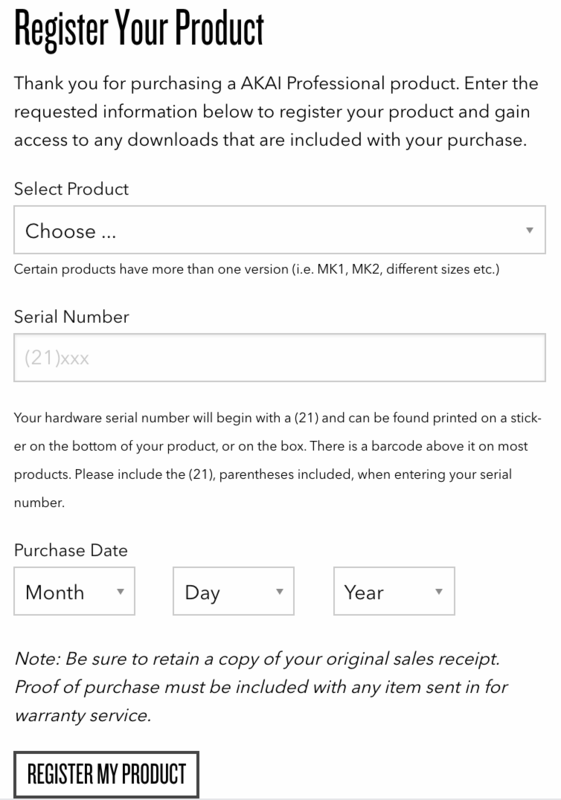 Under Select Product, choose Fire from the list and proceed to enter the serial number and purchase date. Click Register My Product to complete the registration. After successfully registering your controller, you will be presented with a link to redeem your copy of the FL Studio Fire edition software. 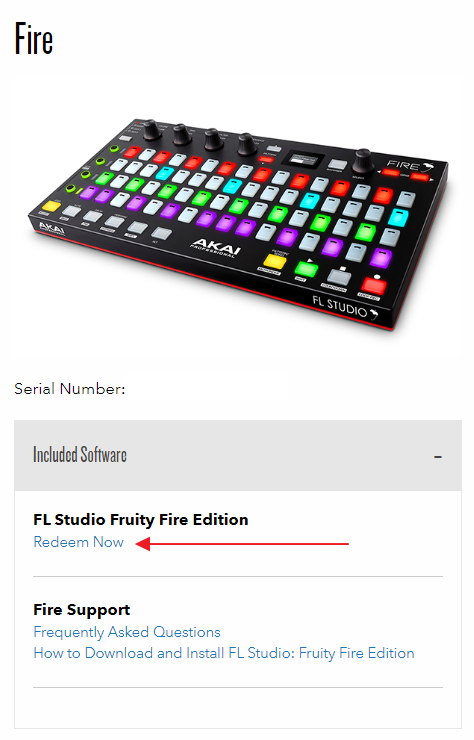 Click Redeem Now to be directed to the FL Studio website. On this page, you will be asked to login or create an Image-Line account. 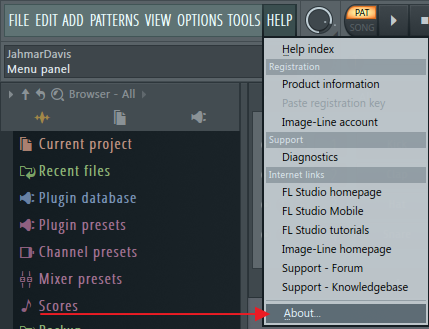 If you are new to FL studio, select No, I am a new customer(You'll cat an account next), then Next. If you already have an account you can enter your login credentials by selecting Yes, then Next. Enter the requested information to create an account, then hit Next. Once your account is created, you will be provided with a serial number. Click the Add button to add it to your account, Confirm, and Finish the process. After the license has been added to your account, you can view it from your My Account page. 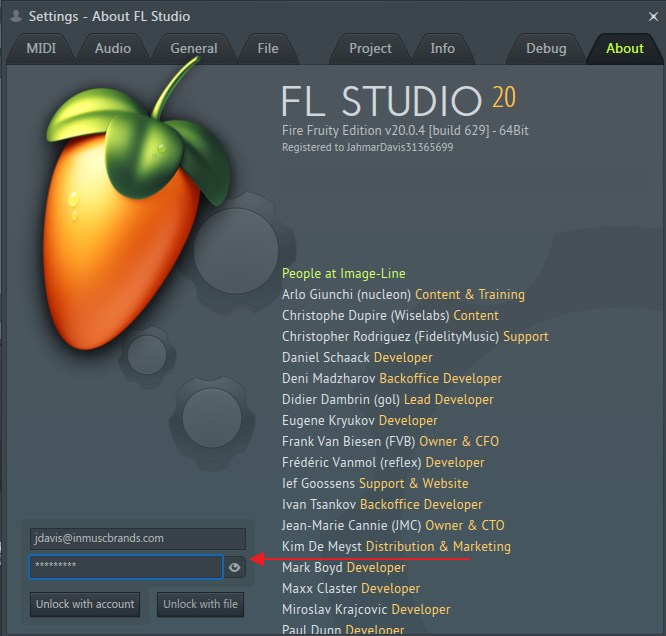 Click My Licenses on the left and click the + sign to the right of FL Studio Fruity Fire Edition to see more details about the license. Click Download Page in the instructions. Select your operating system to download the installer. Once download, click on the installer to run it and install the software to your computer. Open FL Studio Fruity Fire Edition. You will find an icon on your desktop and/or in your application folder on your computer. Click on Help, then About. Type in your Image-Line credentials, and click Unlock with account. Allow FL Studio to close and connect the Fire to your computer before restarting the software. The Fire will need to be connected in order to complete the unlock process. 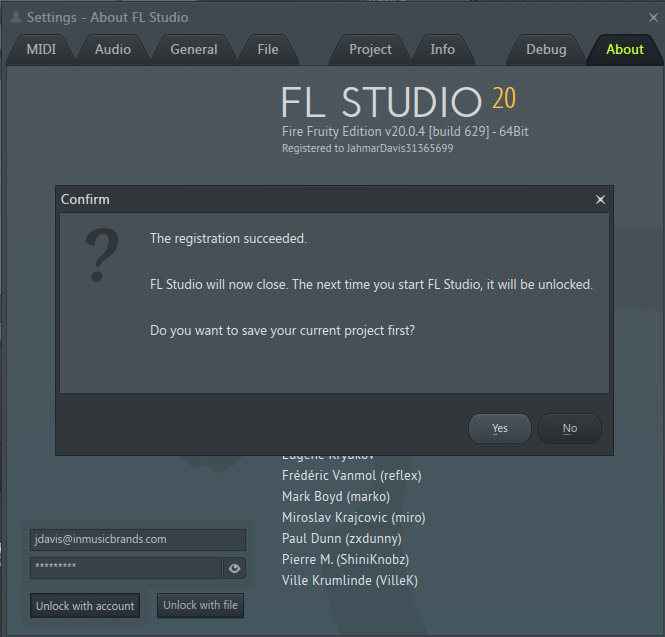 The Fire will not need to be connected every time FL Studio is opened but should be connected periodically to retain the authorization for the Fruity Fire Edition.